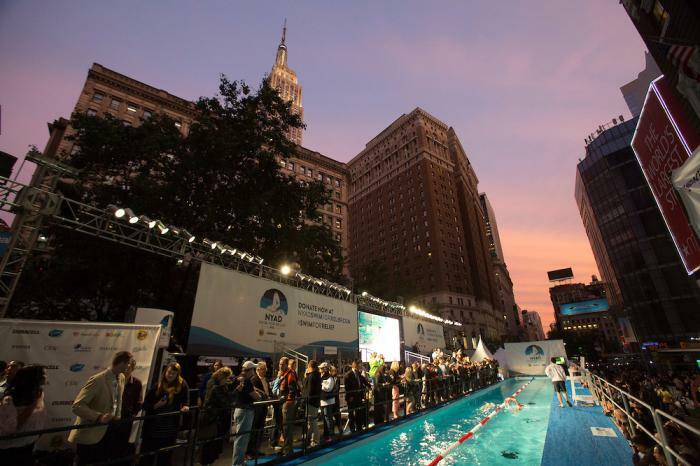 Just over a month after her record-breaking swim from Cuba to Florida, iconic extreme swimmer Diana Nyad teamed up with P&G for a 48-hour, continuous swim in the heart of New York City to raise money for Hurricane Sandy victims. With just five weeks to prepare, we produced an event that captured imaginations far beyond Herald Square. Complete with social media newsroom operations, star studded swim alongs, comedic hosts and even inspirational songs by Richard Simmons, this event was extreme, bigger than life and one of the most exciting projects we ever worked on. Our integrated strategy exceeded all established objectives, securing more than 2 billion media/social impressions, and, most importantly, raising more than $100,000 for AmeriCares Sandy recovery projects.